Our two Dog Friendly Holiday Cottages are located on Hartsop Hall Farm between Ambleside & Patterdale, close to Ullswater to the north and Windermere to the south. 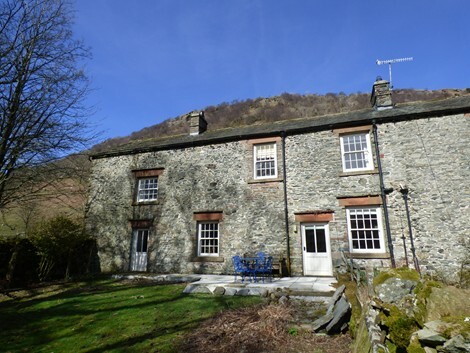 An ideal location in the heart of the the Lake District National Park. The cottages sleep from 2 to 6 people and are Dog friendly. 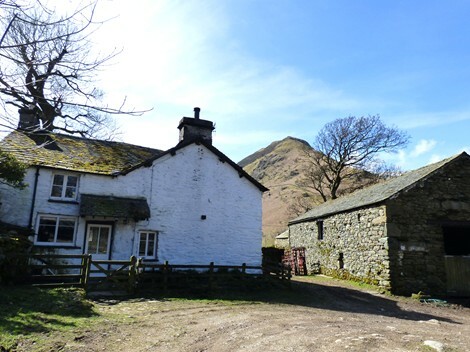 The two holiday cottages, Caudale Beck Holiday Cottage and Dovedale Cottage, are both idyllically situated on this Patterdale farm near Ullswater in the Lake District, offering a truly “off the beaten track” living experience. They are both approached by farm tracks (recently concreted in parts); there is no passing traffic. If walking is your pleasure, there are so many options of Lake District walks from the door, you may never bother to use your car during your stay. 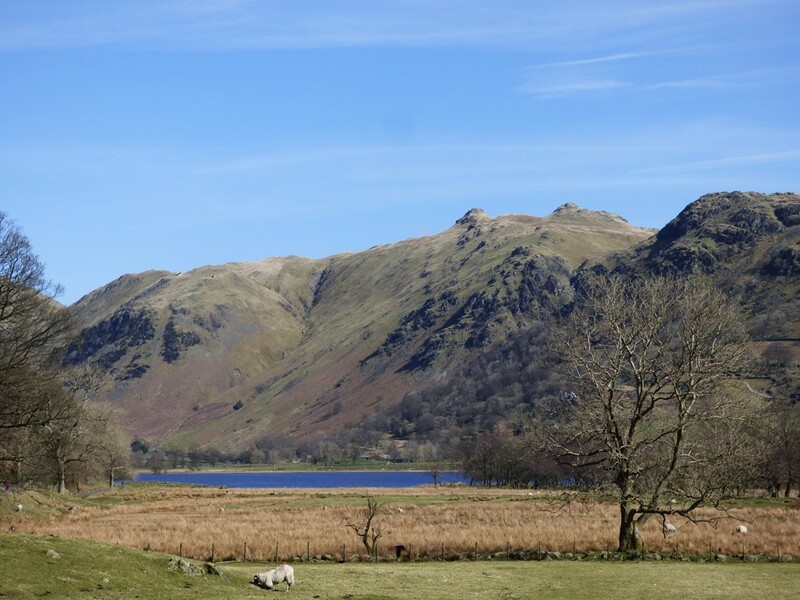 However, despite the seclusion of the location, it is only six miles to Ambleside (outdoor clothing shops, restaurants, cinema), and Patterdale and Glenridding are within 3 miles thus very central for exploring more of the Lake District by car if you choose. 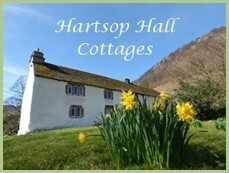 To book our Lake District cottages or for more information please contact us using the links below. Throughout, the beds are of a high standard and extremely comfortable. In both properties the beds are made up with duvets and all bed-linen for your stay is provided. Towels are not provided, so don't forget to bring them! A cot and high chair can be made available; please request at the time of booking (please bring your own bedding for the cot). Both properties have televisions - via FreeSat - and DVD player (in Dovedale); there is a selection of books and DVDs in each. There is a campsite shop for basics just a short walk across the fields. There is a post office, off-licence and general stores (where they bake their own bread for sale) in Patterdale (2.5 miles) and other shops in Glenridding, about 3 miles away. The nearest pub is the Brotherswater Inn, ½ mile away; the best restaurant-pub nearby is the Queen's Head at Troutbeck, on the Windermere side of the Kirkstone Pass.  Ask us for other recommendations. All the fuel, oil heating, electricity, coal for the open fires is provided for guests and is included in the cost of your holiday rental. The water supply to both cottages is from natural springs, is filtered and regularly inspected by the Environment Agency. Nevertheless, we recommend you run the water from the taps for a while prior to drinking, on first arriving. We do accept well-behaved dogs in both cottages, @ £30 per week. Dogs must always be kept under close control. We accept either two small/medium or one large dog per cottage. Further details are on the booking form. Both cottages are 'NO SMOKING' properties.